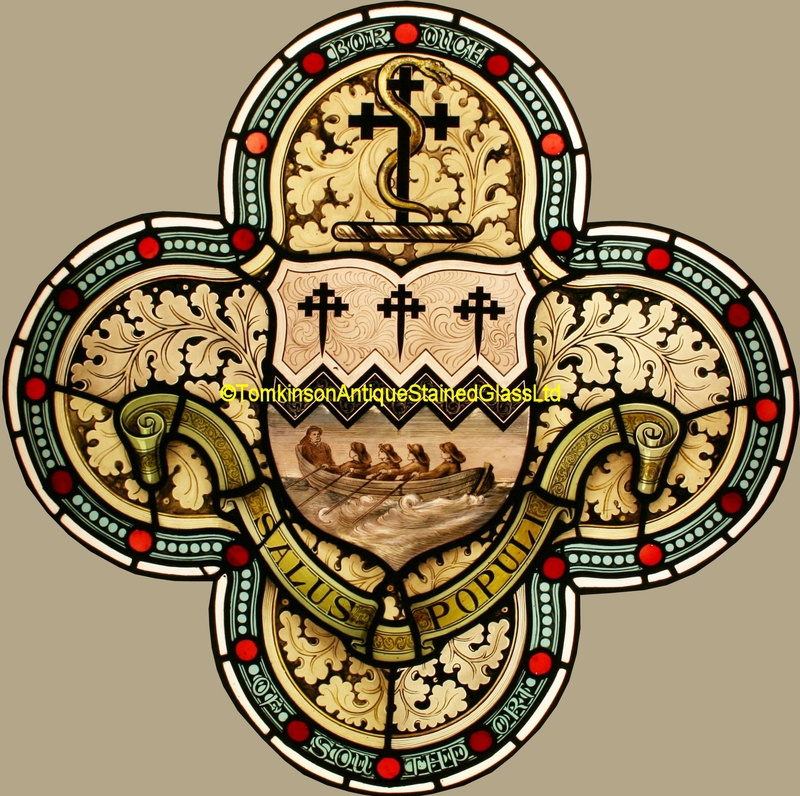 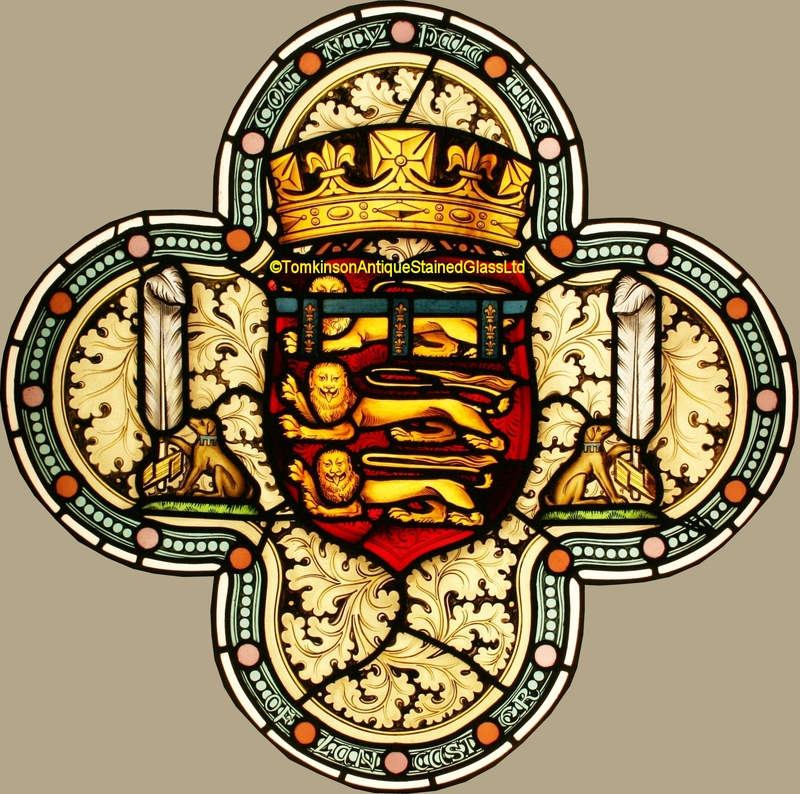 Southport Coat of Arms – ‘SALUS POPULI’ – The welfare of the people. 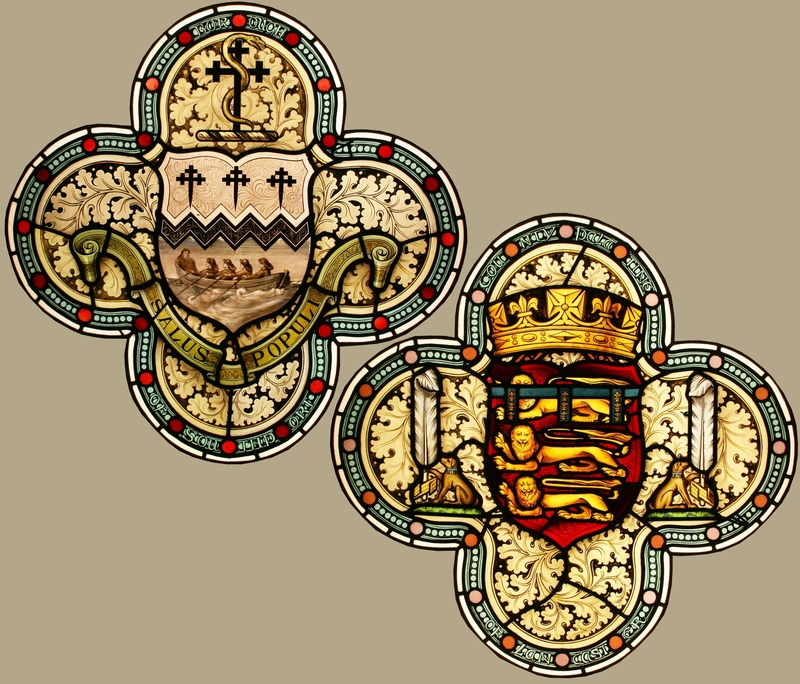 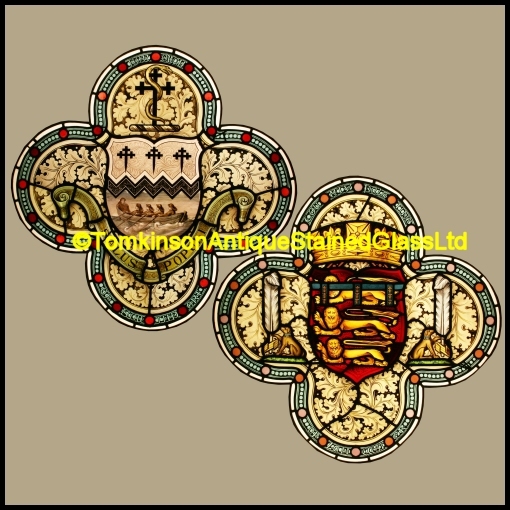 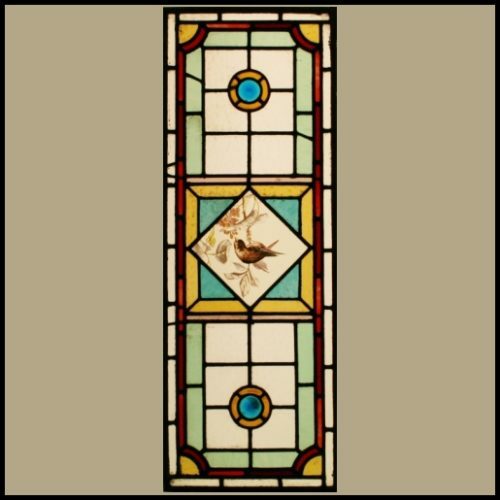 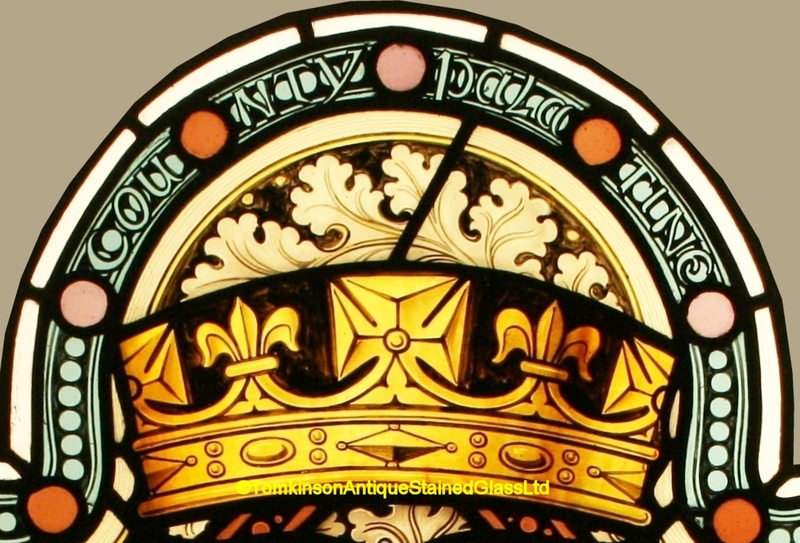 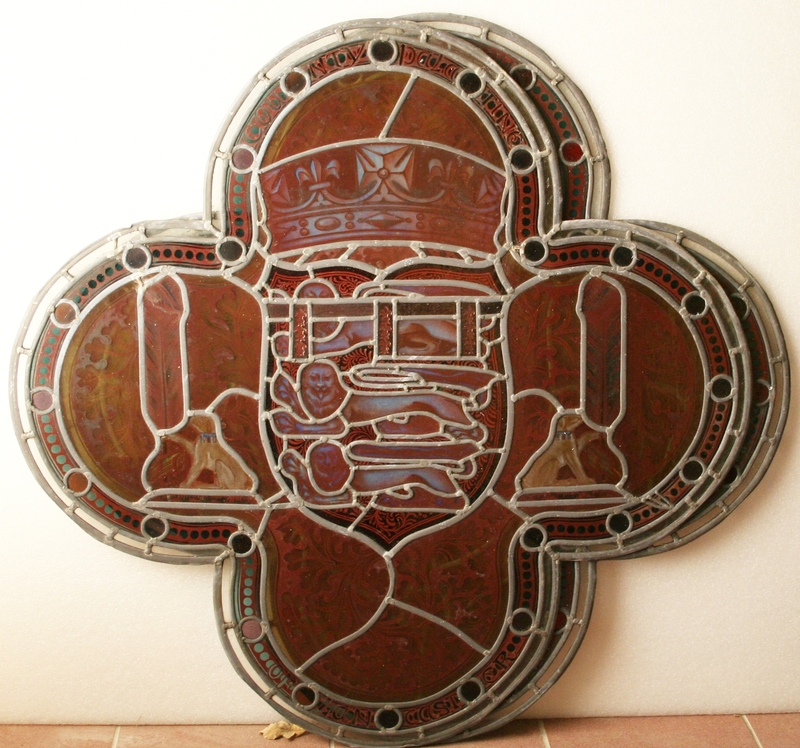 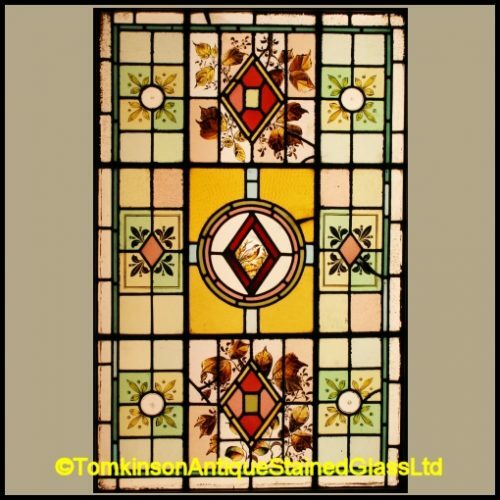 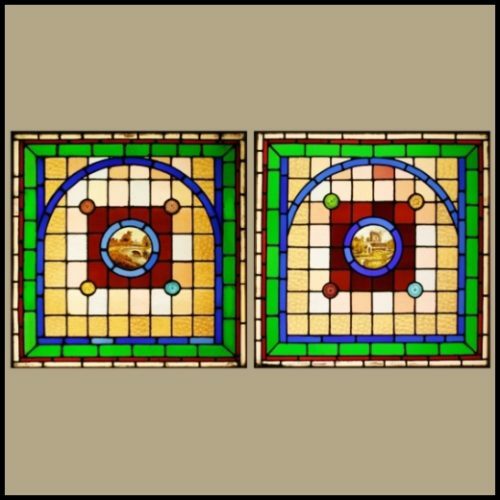 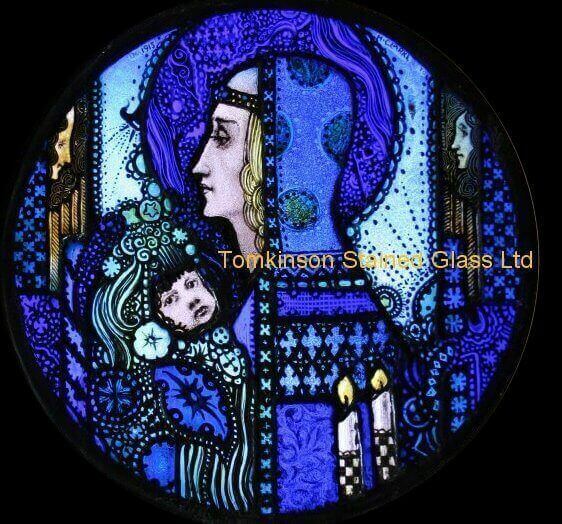 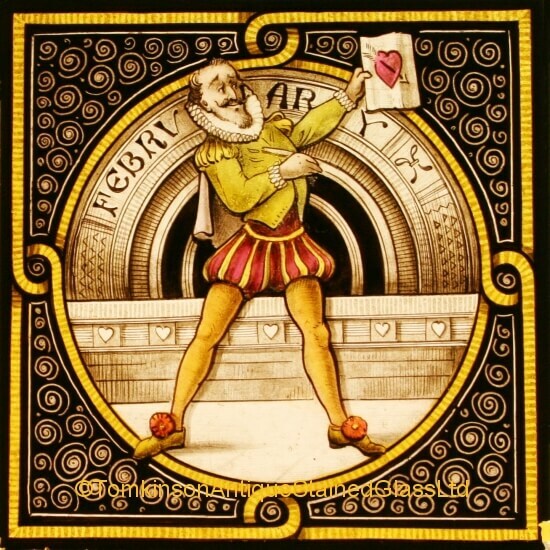 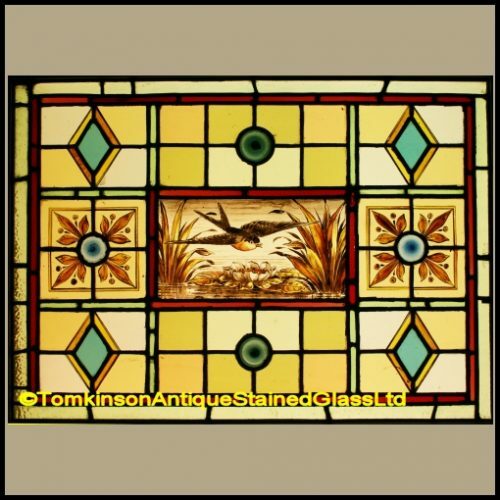 Two large stained glass quatrefoil panels, each leaded with hand painted glass depicting Coat of Arms. 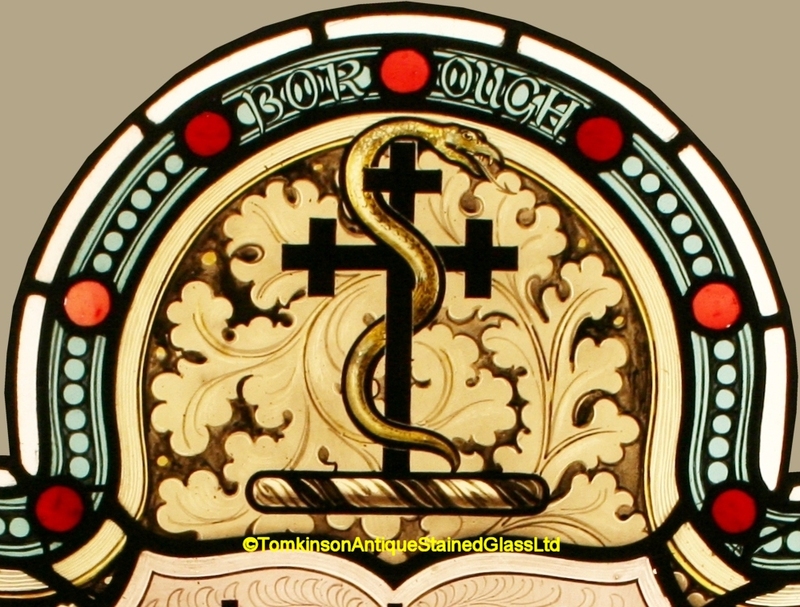 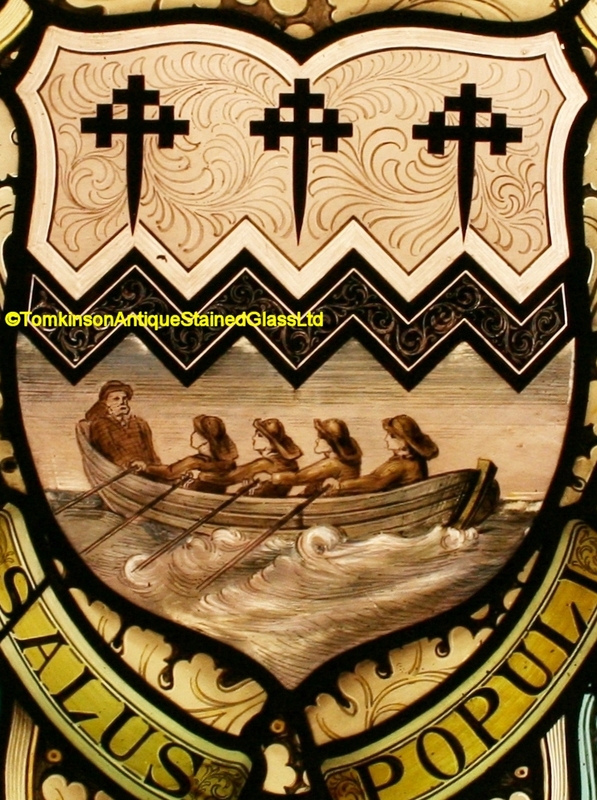 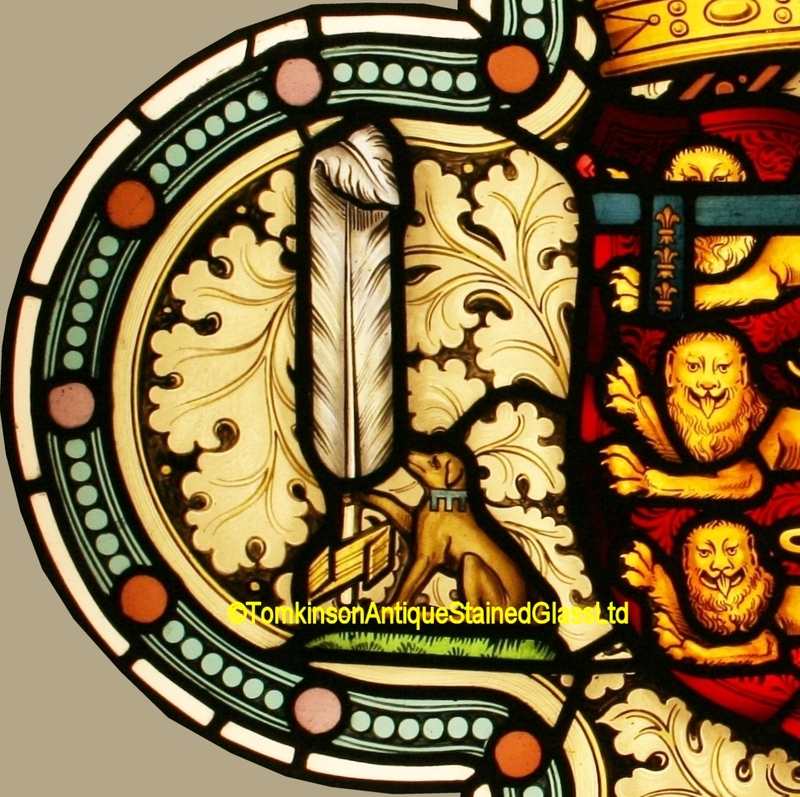 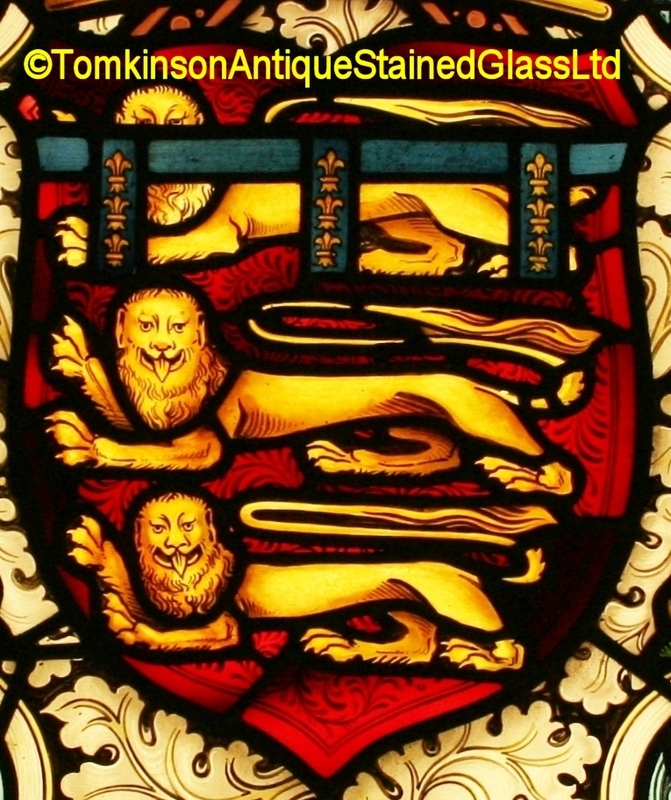 Left windows is the arms of Southport, England, right window is of arms of Lancashire. 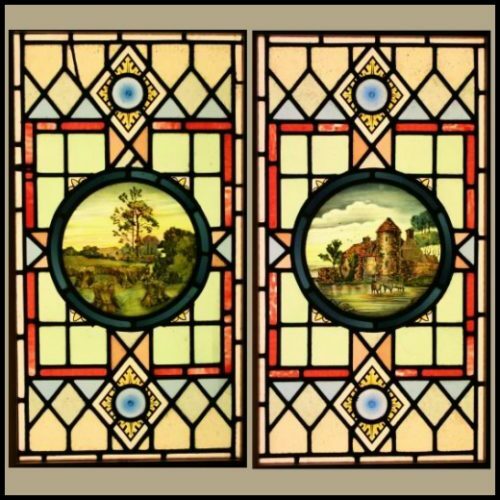 Both in excellent condition and can be sold separately.